Six months of preparation for this mainly orthopaedic mission were only just enough. 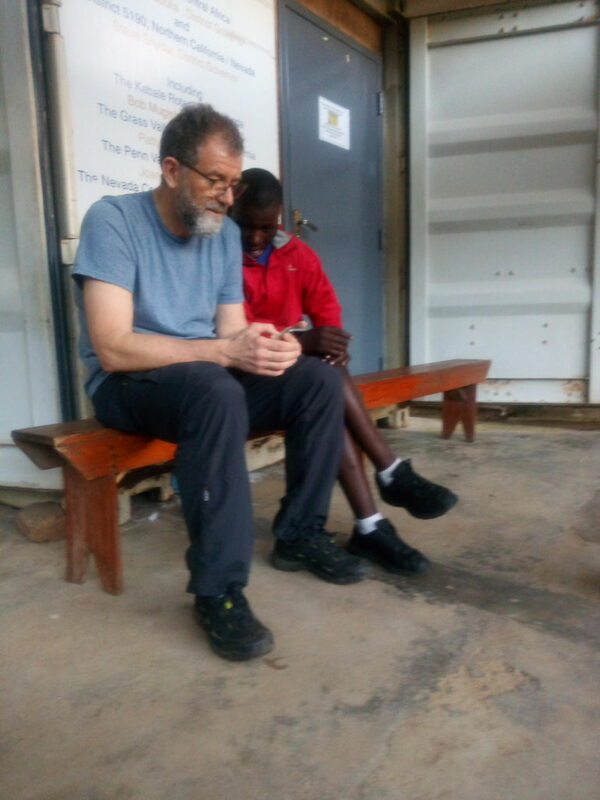 In preparing for the mission, we had frequent contacts with Bwindi medical and paramedical teams, the manager of the laboratory, the stores, the information technology department (IT) and the hospital administration. In addition to the above, we continued our never ending search for medicines and equipment. 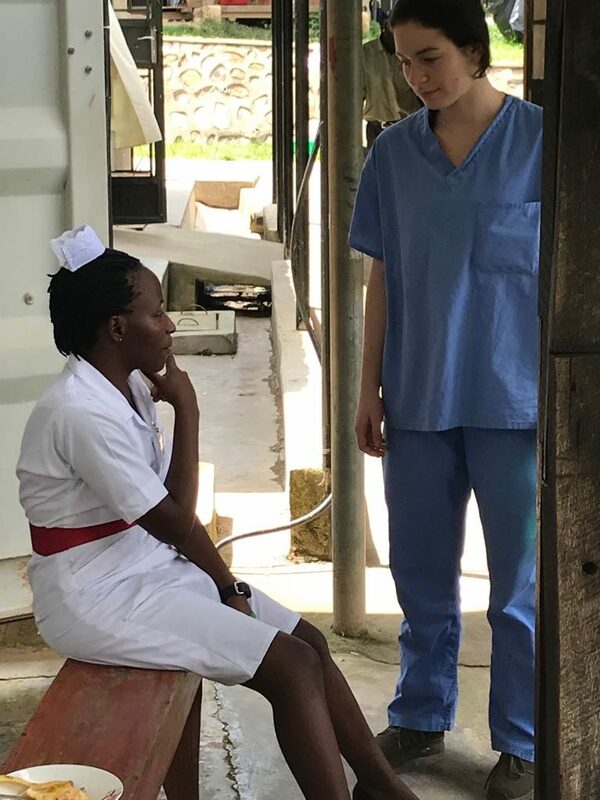 We were a team of nine for this mission, of which four were participating for the first time: two students, an occupational therapist and an IT specialist. This mission had three goals – orthopaedic, radiological and IT. In orthopaedics, we concentrated mainly on the medico-surgical management of osteomyelitis cases and occupational therapy. Drs. 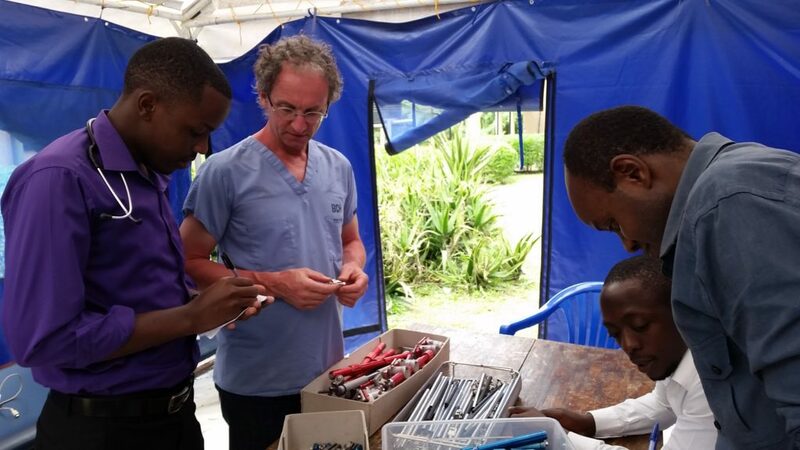 Georges Kohut and Rémy Boscacci carried out 100 consultations, which resulted in 21 surgical interventions, including nine cases of bone or joint superinfection (osteomyelitis and arthritis), plus 18 occupational therapy sessions. 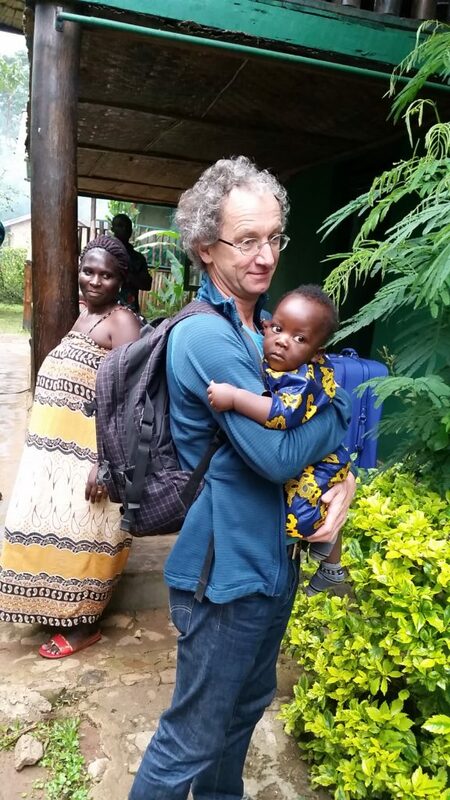 In addition 12 patients returned for a one-year check-up. Contributions from two pharmaceutical companies allowed us to use bone filling procedures, sometimes together with an antibiotic. This was necessary for patients where the intervention resulted in a loss of bone substance (excised because necrotic and often infected). For the first time, we were able to subject samples of removed infected tissue to antibiotic susceptibility tests, in order to identify the appropriate drug to treat the infection. Thanks to Dr. Boscacci’s personal contribution, we were also able to introduce specific postoperative intravenous antibiotic therapy. This progress was the result of significant team work, including motivated local medical and paramedical staff. 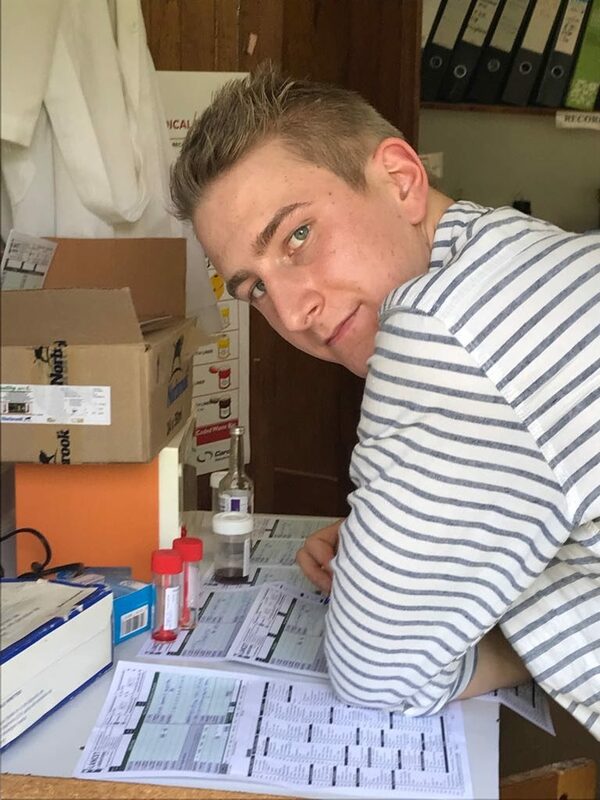 Follow-up after our departure will be provided by Maxence Reynard, the medical student who accompanied us from Fribourg. 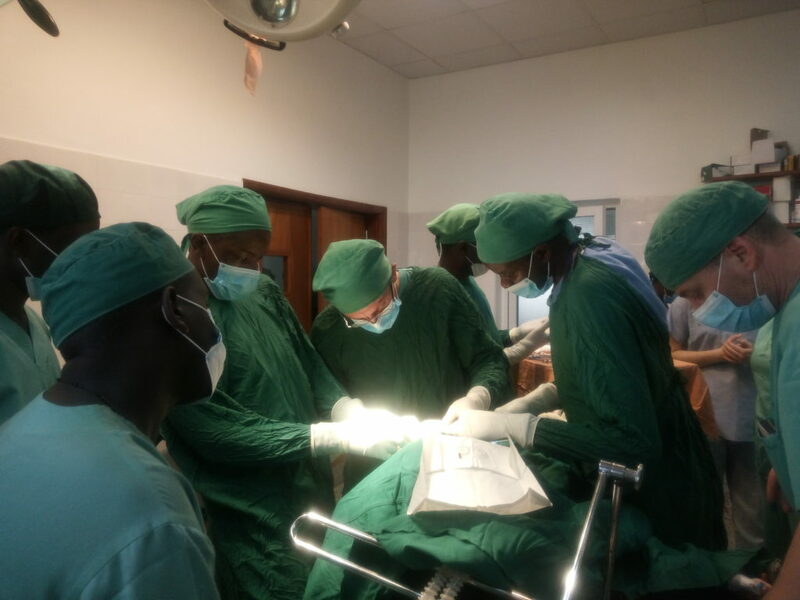 Five patients are already scheduled for surgery for the next camp in 2019. 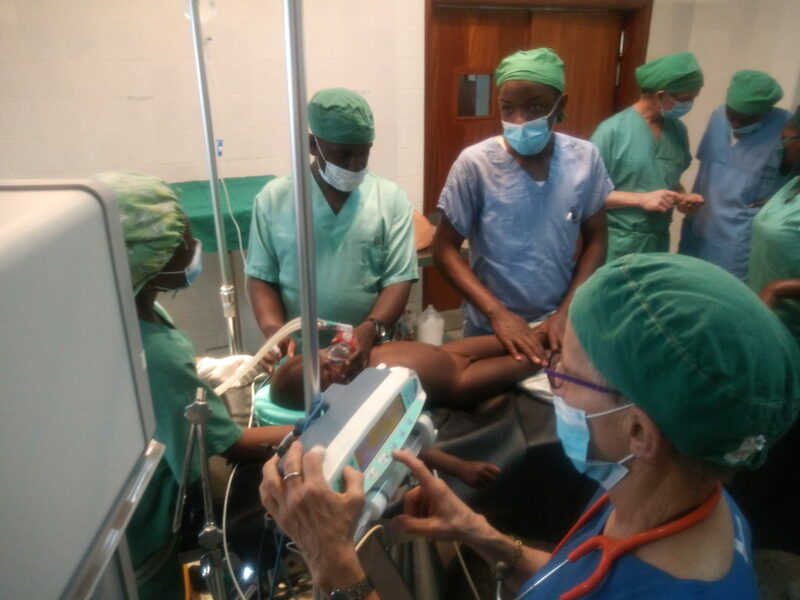 In anaesthesiology, Dr Katryn Flueckiger renewed her teaching programme. Because it was difficult for the local staff to undertake such procedures, she had to personally manage the anaesthesia of toddlers. In order to raise the level of hygiene in the operating theatre and the patient reception room, she organised and supervised the required renovation work. However, there remains a lot to do, to achieve acceptable conditions for surgery which requires absolute sterility! Patients handicapped by amputation, major contractions resulting from burns and neurological disorders were treated by Emmanuelle Picot, Occupational Therapist. This profession, which is not widely known, helps people with disabilities to adapt to their daily living conditions (see her article). 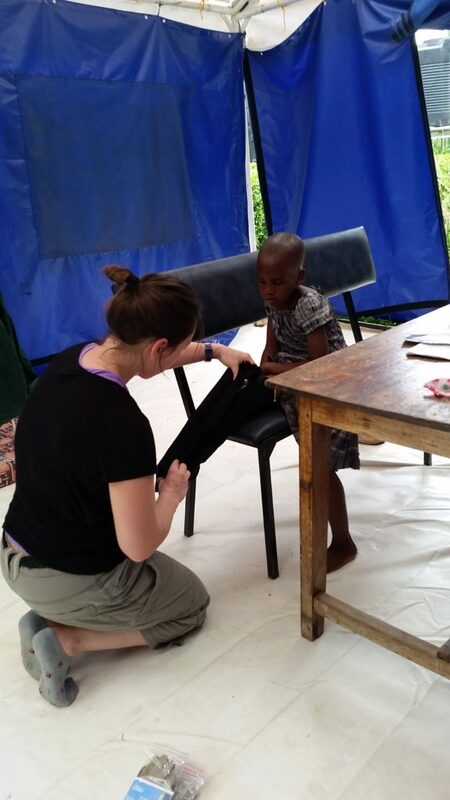 She carried out her work in a tent, on the grass in the middle of the hospital grounds, which attracted all the staff to go and observe the procedures for themselves! Thanks to the determined work of his predecessors, Dominique Schmid was able to review the parameters required to obtain good quality x-rays, particularly those necessary for orthopaedic work. By changing the developer liquid, purchasing a new cassette, sorting out the old cassettes and optimising various machine settings , he helped make definite progress. Storage shelves were finally made part of the Xray-room fittings, a lot less rudimentary than before! 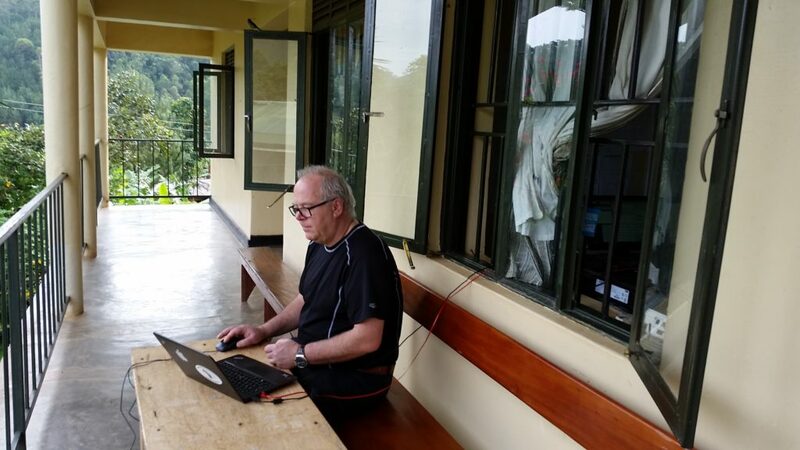 Patrick Pasquier provided the resources to virtualise their computer system. 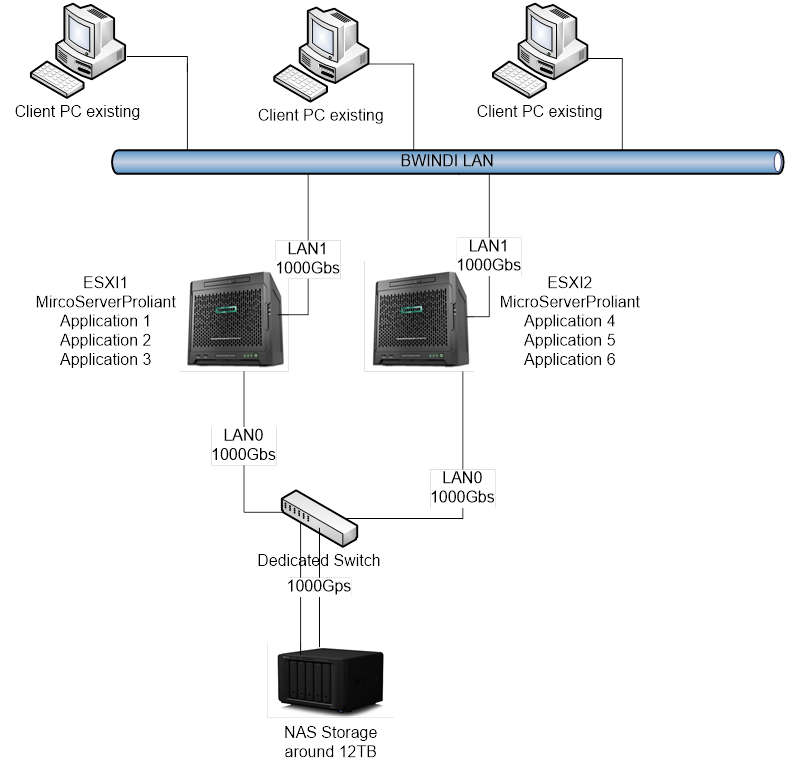 This is a technique of integrating the contents of multiple servers onto a single server whilst simultaneously reducing the storage space required. This procedure significantly reduces the electricity required to run the servers. The hardware re-organisation and the establishment of a practice of regular scheduled data backups provides data security. The two weeks of on site work were barely sufficient to install the equipment, train the staff and demonstrate the benefits of the technology. The evident satisfaction of the local IT personnel testified to the excellent result. And Delphine Grognuz? Well, she is doing a one-month internship before starting her medical studies and this, in a very particular context. What will she conclude at the end of this stay (see her internship report- in French-)? 10 – Delphine Grognoz and her chief! 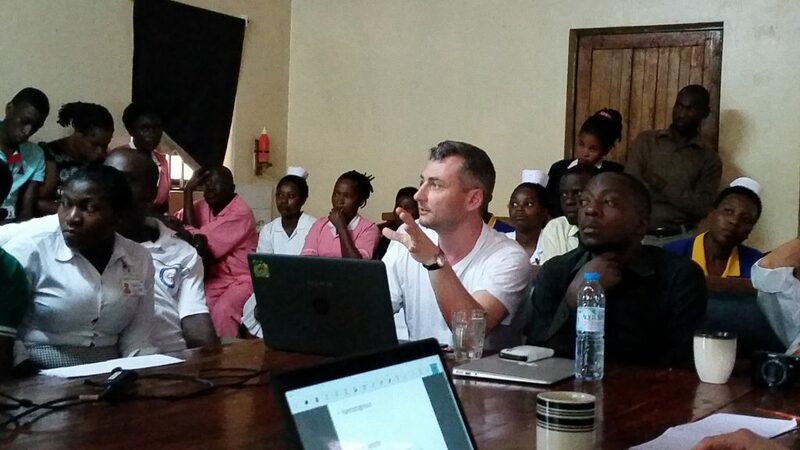 In addition to teaching in the different medical specialities, courses and presentations benefited not only the hospital staff but also the students at the adjacent nursing school. Subjects covered were anaesthesiology, external fixators and clinical examination of the shoulder and knee, as well as occupational therapy and osteomyelitis. There will always be something to do and some goals that we would like to achieve before turning to other needy clinics or hospitals. We need to ensure the competent treatment of osteomyelitis, which mainly affects and permanently handicaps children and we need also to ensure the sterility of operating rooms. 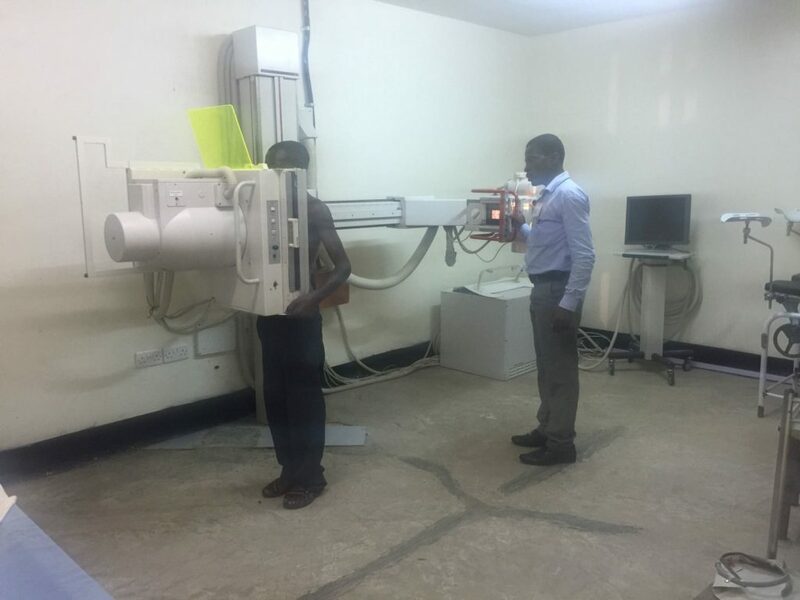 In radiology we are coming close to achieving the goal that we set ten years ago.